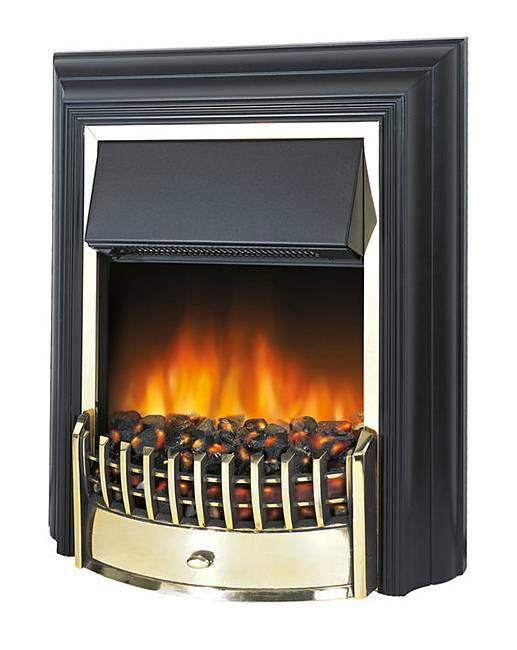 The Dimplex 2kW Cheriton electric fire is designed to be used freestanding flat against a wall with no inset depth required. 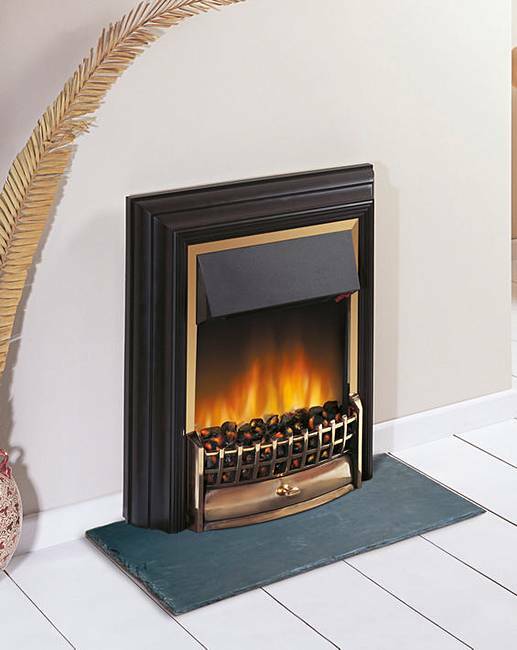 The fire is traditionally styled with a black finish and brass-effect trims and frets, creating a touch of warmth in any home. The fire has a choice of heat settings, coming complete with a real coal bed. 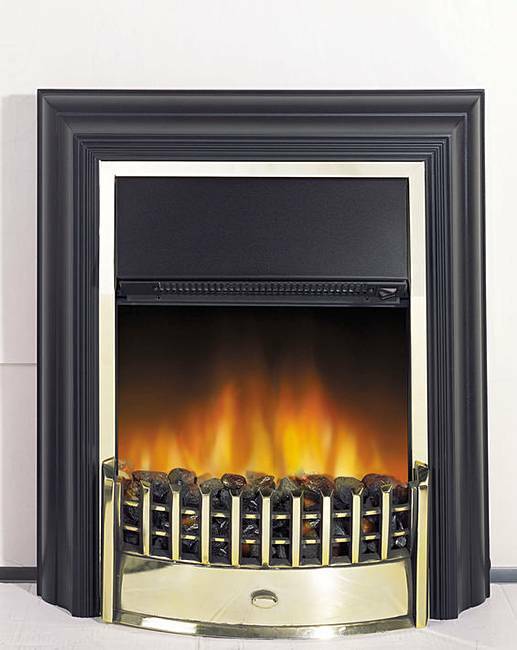 Completing its persona, the Cheriton fire uses Optiflame technology for a realistic flame effect, which can be used with or without heat, making it ideal for all year round use. Hearth pad not included (please use product code DR912). Now with remote control on/off, variable thermostat for greater comfort and control and LED optiflame effect running on just 9 watts energy consumption. Variable thermostat for improved comfort and economy and LED Optiflame effect using just 9W energy consumption. The Cheriton has a 12 month manufacturer's warranty and BEAB approval for added safety and peace of mind. H.68.2 x W.63.9 x D.19.4cm. Weight 15.18kg.